Rust free elegant look in shutters requires minimum maintenance. Light in weight and exerts only minimum weight on the springs and extends spring life. Easy to operate and requires no painting. 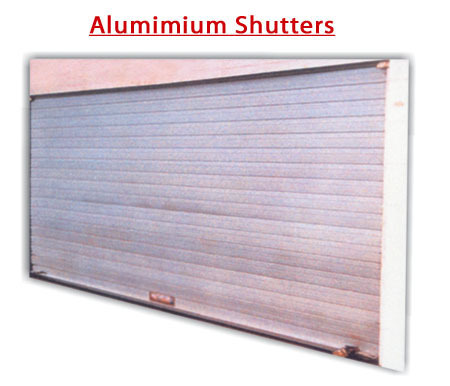 Shutters require minimum space and greasing not necessary. Made of 18G aluminium alloy flat sections of 11/2".2",3" double wall and 3" single wall. Ideal for shops,windows,car sheds,factories etc and good for sea side locations. Available in anodized and power coated finishes.